If dreams of watery Atlantis are your jam, you'll enjoy this romantic fantasy of a regular girl discovering her inner queen as well as love. He is lithe, gorgeous, and his kisses taste like rain. But how can I be his queen? I don’t even have a country. Harmony is terrified when she awakens on a raft in the middle of the ocean with a deadly, tattooed Lord of the Sea hulking over her. But she quickly realizes he’s the one who saved her from the storm—and that joining his undersea world is the only way she’ll survive. Mer warlord Faier dreads his bride’s terror as she stares on his wrecked body. A lifetime of honorable service has destroyed his ability to woo a mate. …Or can the purehearted female look past his scars when she willingly takes his muscled arm? This star-crossed pair is stranded deep in forbidden territory. Their foe has no compunction about killing Faier and taking Harmony. Because, according to the ancient laws, Faier is the true enemy. A warrior chained by duty. A bride who refuses any claim. A secret that will untangle a decades-old mystery of the deep. 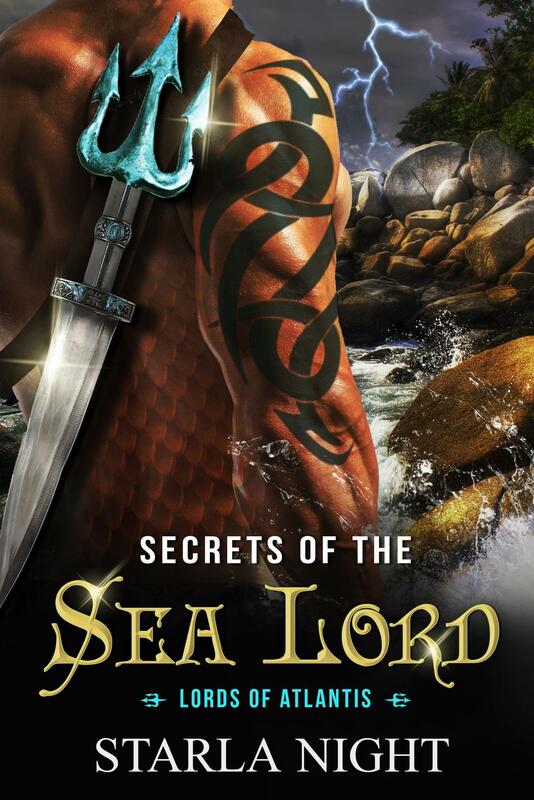 Take one gender-reversed Little Mermaid story, flip it upside down, mix in some Cinderella elements, a modern context, a long-lost sibling, and the first queen born to a secret race in millenia, and you have the premise for Secrets of the Sea Lord. Readers who enjoy a gentler, more beta hero will like Faier, who is a strong warrior but consistently bends to Harmony's wishes-- when she is brave enough to speak them. Harmony's arc from a timid, abused misfit of a woman to an astute, defiant queen is quite the journey. It's made believable in the way that the character incrementally builds on her observations and gains confidence when others' behaviors prove out her theories and predictions. Conflicts center around the Mer world's cultural norms and Harmony's refusal to bend to them. She will bring an element of the modern human world to them whether they like it or not, but the rules around the warriors' behavior cause misunderstandings, while a long-simmering power play adds to the chaos. This is the sixth book in the Lords of Atlantis series. I have not read any of the prior books, which may have been something of a detriment. The beginning of this story was violent and chaotic with characters that never reappeared, which felt a bit disorienting. It's possible that there was some setup previously that would've made the beginning a little smoother. At the end, characters from prior books come into play as important allies. This all happened with adequate background contained in this book but fans of the series will no doubt get a bit more enjoyment out of seeing these folks again. The sea was hot and rough. Blue sky extended in every direction. Choppy waves sprayed her storm-torn raft. Harmony’s mouth tasted sour, and gunk crusted her eyelashes. Salt powder? It stung. She hung her head over the side of the rotted wood, cupped a handful of seawater, and washed her face. Then she stared out. The sun baked the ocean into a watery desert. Miles and miles of gummy, bleary, Caribbean desert. Dread pooled in her stomach. Harmony pulled herself back into the raft and ducked her head against the glaring sun. Her dry throat hurt. She tried to swallow. She was alone in the middle of the ocean. No food. No water. So, she was vulnerable to the monstrous Sea Lords. A shadow moved on the other side of the raft. Harmony rubbed her eyes again. Her vision sharpened. A humanoid creature crouched on the far side. Dark, wet hair obscured his face. Sloping shoulders betrayed a broad back and tough, muscular limbs. Purple marks slashed his rubbery skin. He halted and rose. Towering. A dead fish hung in one knotted hand. Bare bones reflected white. The monster tilted his head to profile. Torn flesh dangled from his teeth. She sucked in an endless breath. Between the wet locks of hair, a dark eye fixed on her, stopping her heart. Strange iris. Brown with mauve threads. Like fish scales, the mauve threads gleamed, mesmerizing. Her belly tingled with warning. The monster had hunted. And now, she was his prey. He dropped the dead fish and turned on her.